The paperback version of the First Edition is out of print. The limited hardcover edition is also out of print and is now a sought-after collectors’ item. 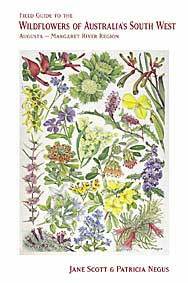 For an up-to-date book that contains all of the illustrations of this edition, we have our completely rewitten Wildflowers of Southwest Australia. Besides extra information, this new book contains all of the changes in species nomenclature that have occurred during the last 14 years.